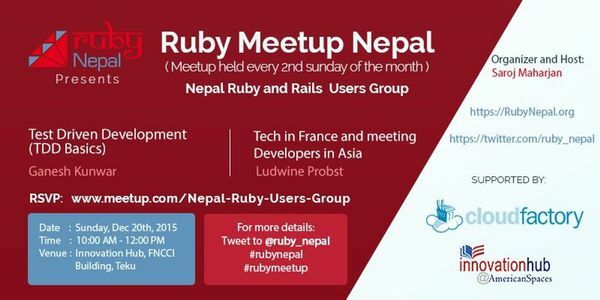 After months of hurdles and fuel crisis, we’re finally continuing our monthly Ruby Meetup. 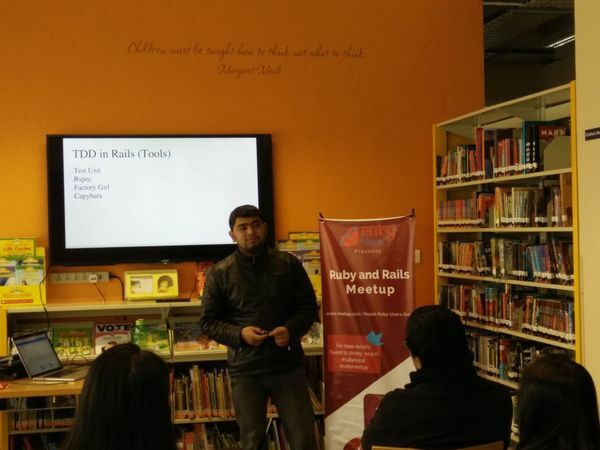 Around 30 ruby enthusiasts showed up for the december meetup held on 20th December 2015. I was very glad and a little nervous to host the event for the very first time. I would like to thank Saroj dai for providing me the opportunity to host the event. First speaker was Ludwine Probst, data engineer from France. Despite having Mathematics as her academic background, she talked about how she is enjoying her career as a software developer. She also shared her experience as a developer in France. 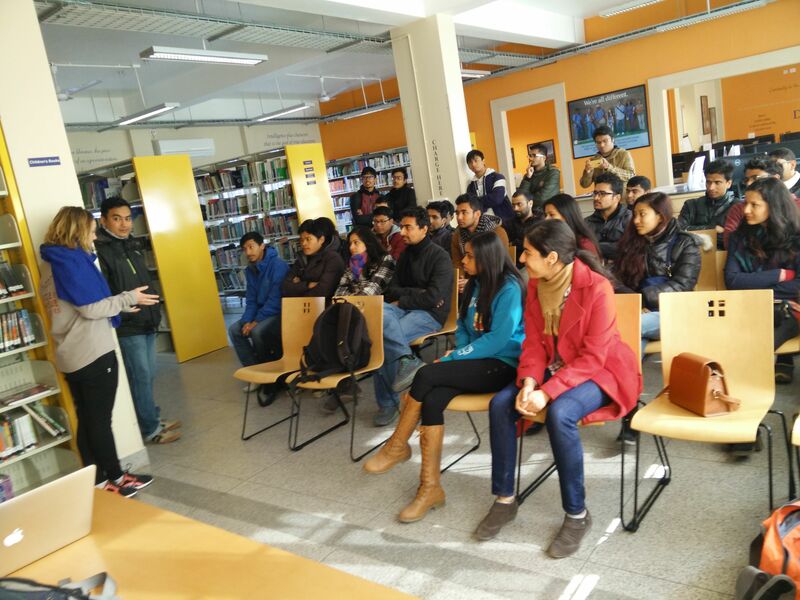 She explained her journey from France to Asian countries to know more about the woman involvement on IT world. Rather than a talk, it was an interactive session with the meetup participants. 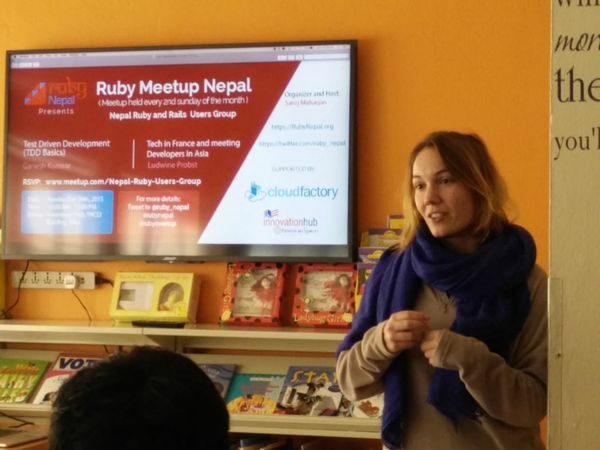 A big thank you to CloudFactory for sponsoring December RubyNepal Meetup and Innovation Hub Kathmandu for the awesome venue. We are using github issue to manage our meetup presentation. You can open issue if you want to share your experience or present on topic that intrests you.